We're now a Geiger affiliate – More options, better deals! 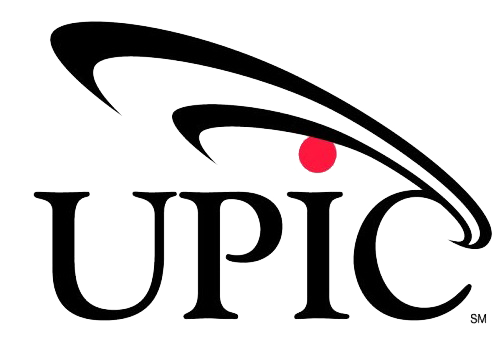 Click our logo above to browse our new site for great products, special pricing, and new ideas! 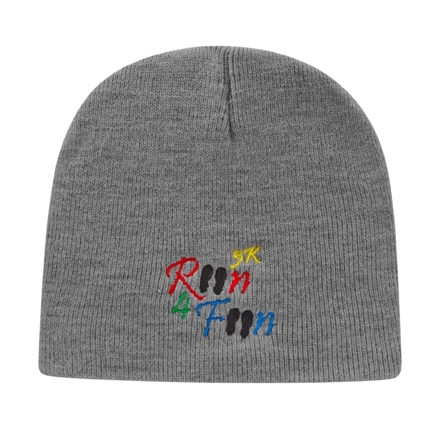 A portion of the proceeds from all sales of this month's featured product will be donated to the Omaha Community Foundation to help support local non-profits. Select a category below, or enter keywords in the search box. 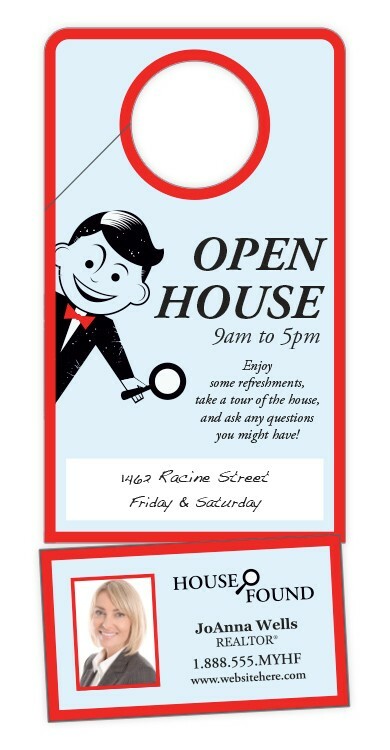 Door Hanger - 3.5x8 UV-Coated (1S) with Slit and Detachable Business Card - 10 pt. Plastic Door Hanger - 4x10.5 UV-Coated (1S) - Round Handle - 10 pt. Plastic Door Hanger - 3x8 Laminated with Slit - 14 pt. UV-Coated Door Hanger - 3x8 Oval Shape - 10 pt. Door Hanger - 3.5x8.5 Laminated with Slit - 14 pt. 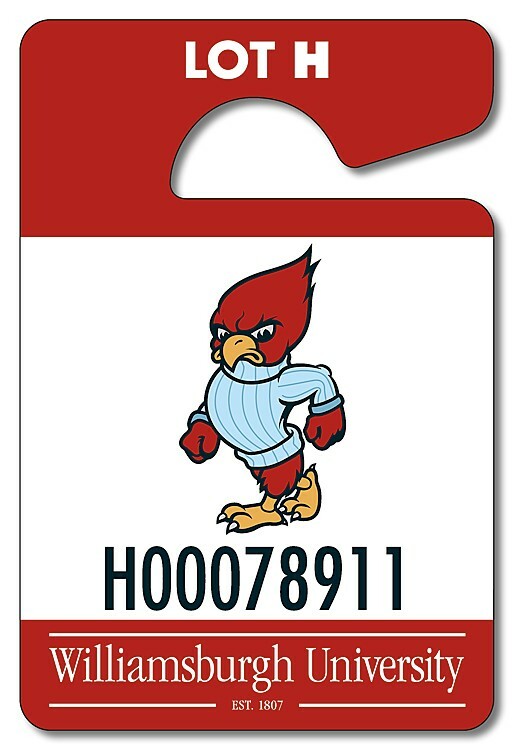 Plastic Door Hanger - 4x10.5 UV-Coated (1S) with Rounded Handle and Business Card Insert - 10 pt. 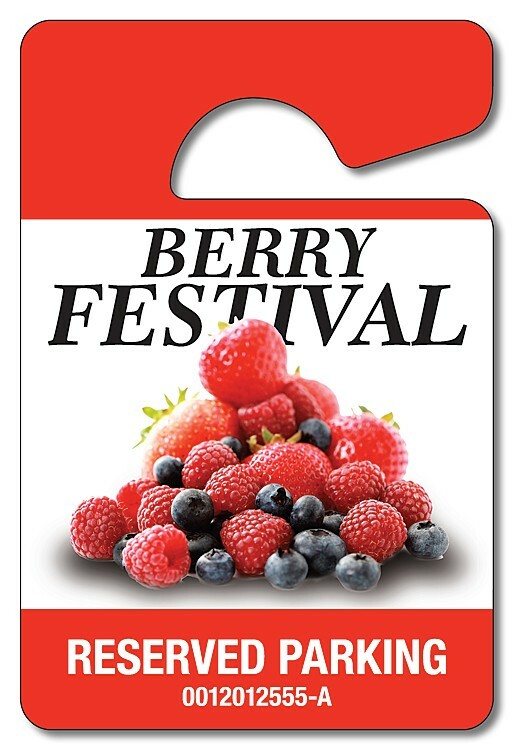 Door Hanger - 4x10.5 Round Handle with Tear-Off Portion on bottom - UV-Coated (1S)- 10 pt. Plastic Door Hanger - 4x10.5 Laminated - Round Handle - 14 pt. Door Hanger - 3x8 Laminated with Slit - 14 pt. Plastic Door Hanger - 4x10.5 Laminated - Round Handle - 30 pt. Plastic Door Hanger - 3x8 Oval Shape - 14 pt. Door Hanger - 4x10.5 Round Handle with Tear-Off Portion on bottom - 14 pt. 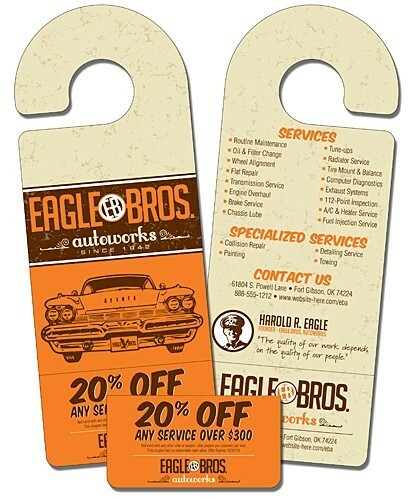 Door Hanger - 3.5x8 Laminated with Slit and Detachable Business Card - 14 pt. Door Hanger - 3.5x8.5 Extra-Thick Laminated with Slit - 24 pt. Door Hanger - 4x10.5 Extra-Thick Laminated with Rounded Handle and Business Card Insert - 24 pt. Door Hanger - 4x10.5 Laminated - Round Handle - 14 pt. Plastic Door Hanger - 4x10 Laminated with Slit - 14 pt. Door Hanger - 4x10.5 Extra-Thick UV-Coated (1S) w/Rounded Handle and Business Card Insert - 14 pt. 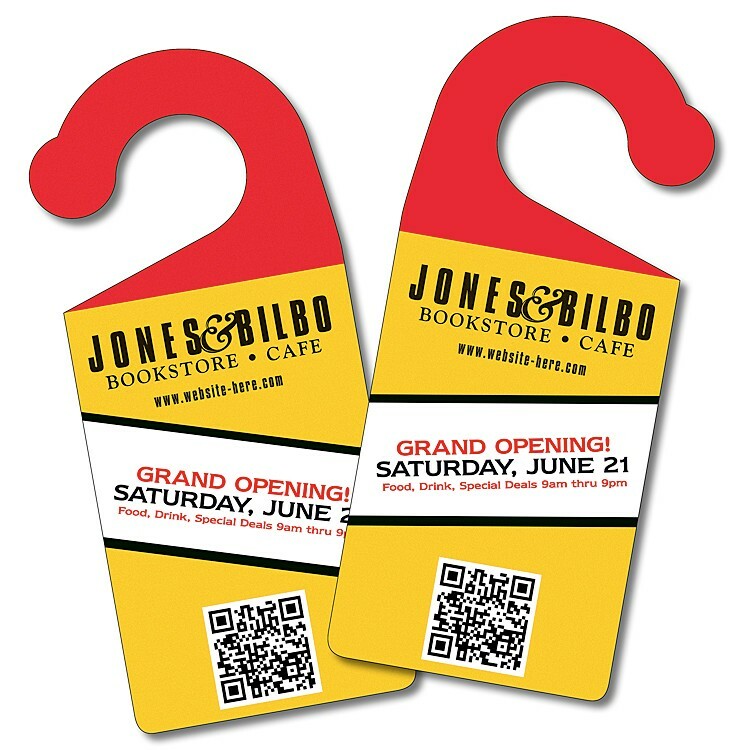 Plastic Door Hanger - 3.5x8 UV-Coated (1S) with Slit and Detachable Business Card - 10 pt. 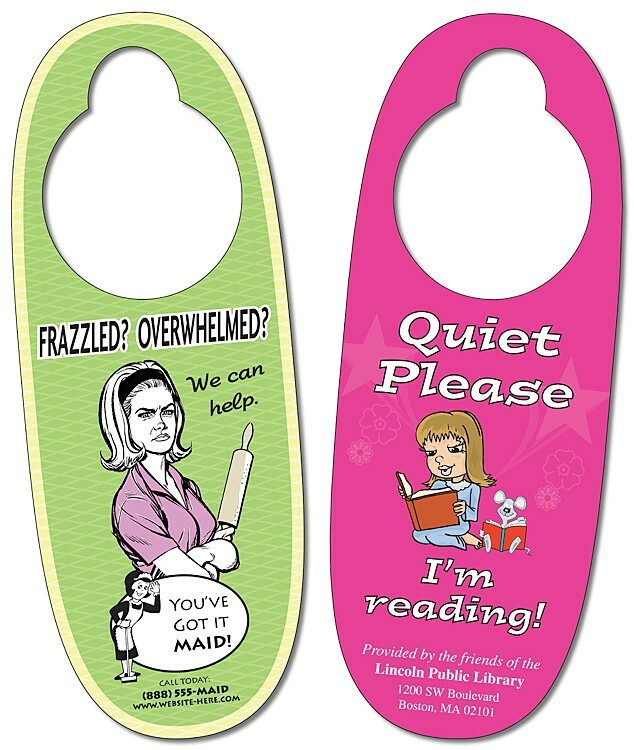 Door Hanger - 3.75x8.5 Extra-Thick Laminated with Round Handle - 24 pt. 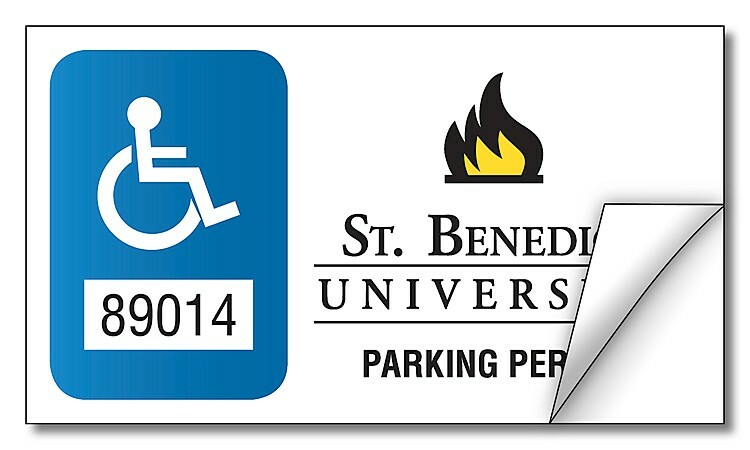 UV-Coated (1S) Plastic Hang Tag / Parking Permit- 3x4.5 - 10 pt. Plastic Door Hanger - 3x8 UV-Coated Oval Shape - 10 pt. Door Hanger - 3.5x8.5 Extra-Thick UV-Coated (1S) with Slit - 14 pt. 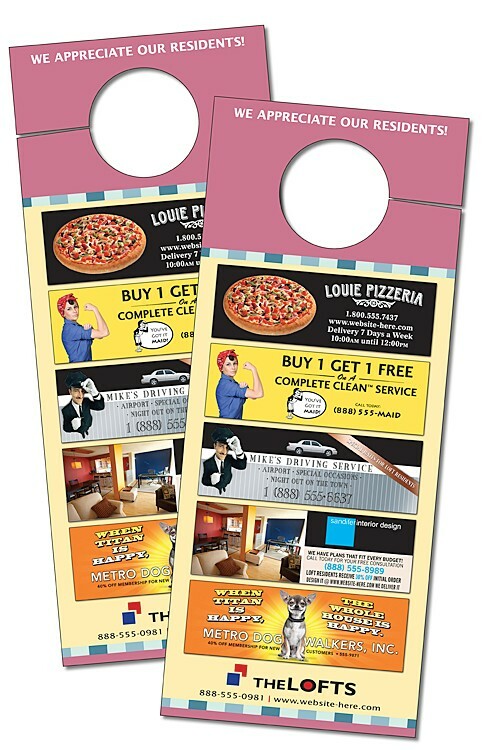 Door Hanger - 4x10 UV-Coated (1S) with Slit - 10 pt. Door Hanger - 3x8 UV-Coated (1S) Extra-Thick with Slit - 14 pt. Door Hanger - 3x8 Extra-Thick Oval Shape - 24 pt. Open Handle Door Hanger - 4x8- Extra-Thick - 24 pt. Can't find what you need? We've got many more items available than what's found on our site. 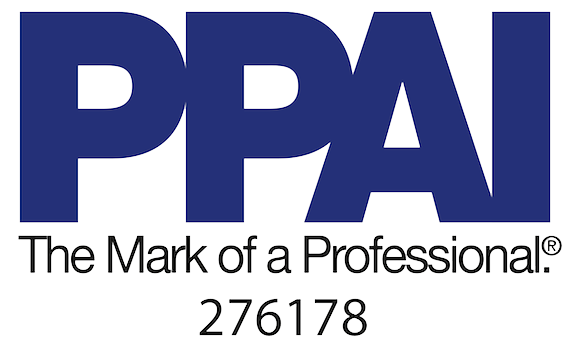 Call us at 402-384-2820. We'll find it for you! Copyright The Creative J, Inc.. All rights reserved.